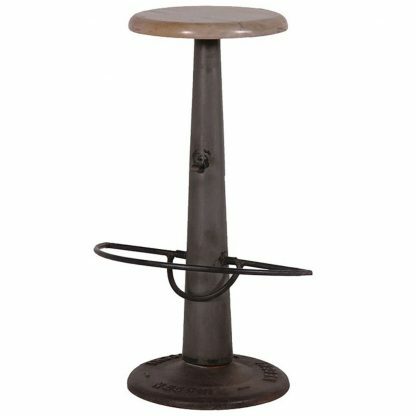 Creative industrial style stool, very unique in design. 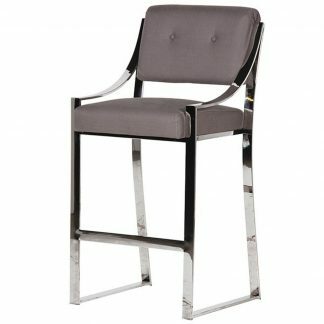 Metal base with a metal foot rest and a solid wood seat. 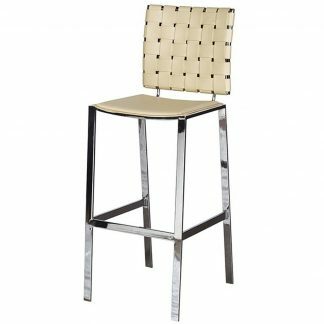 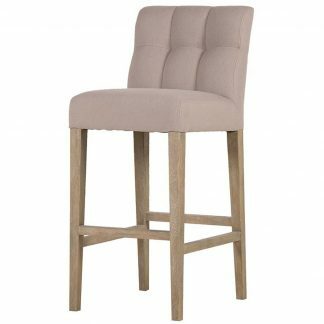 This stool would make a great feature piece in any kitchen.